Another Dragon Con has come and gone by too fast. Seems like each year, there’s never enough time to see/do all the things one sets out to do or spend enough time with friends only seen in person that weekend. For my friends and me, the convention weekend is usually a mix of the excellent, the good, and the not so good. Overall, the staff of Dragon Con does an outstanding job year after year of giving the majority of attendees and guests an enjoyable weekend together. 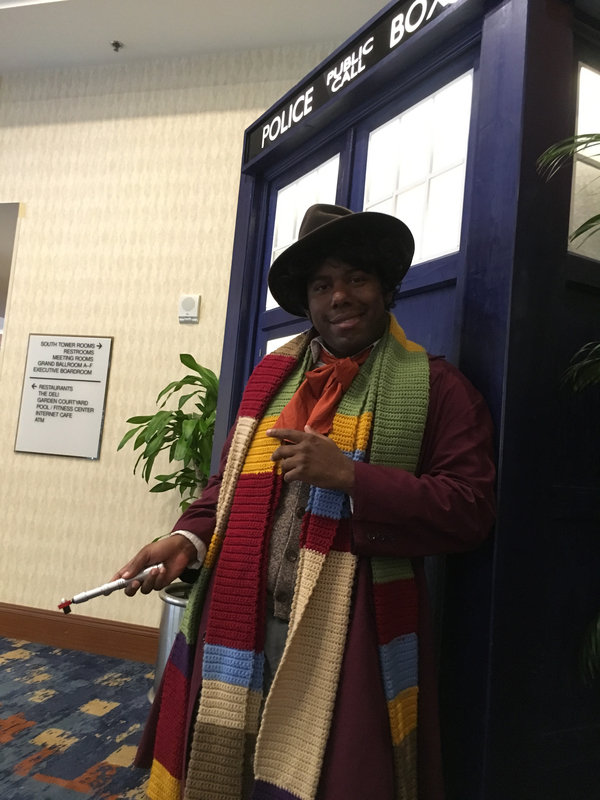 Here’s my round up of the the good and the not so good of Dragon Con 2016, with input from my friends. 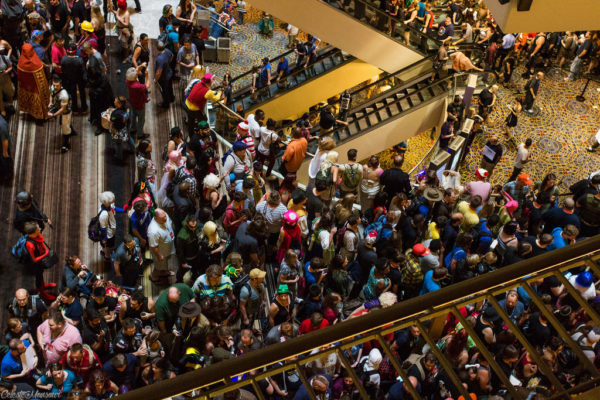 Dragon Con bills itself as a pop culture convention. 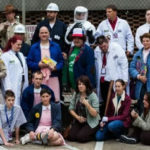 It covers a wide range of fandoms, including some people might not expect at a comic convention. One of the highlights of this year’s con was the focus on the 30th anniversary of Labyrinth, especially on the puppetry used in the movie. The convention has an actual Science Track that brings real scientists and astronomers to the guest list. Want to meet your favorite genre fiction author? Dragon boasts one of the largest author guest lists of any convention. Besides television and movie celebrities, the guest list generally includes voice actors, musicians, artists, and makers. Dragon Con is one of the only sizable fan-run conventions left in the country. This allows them to cater to a large spectrum of interests. Everyone can find something of interest at Dragon Con. Dragon Con is well-known for the vast variety of cosplay. 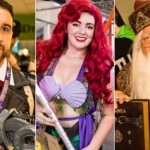 From the one who dresses up with friends in matching costumes or t-shirts to the very serious crafters who spend most of the year working on that one splendid costume, Dragon is a convention that is welcoming and open to cosplayers of all levels. The apex of cosplay celebration each year is the annual Saturday morning Dragon Con Parade. It’s such a spectacle that it draws a massive crowd even from the general public to see the cosplayers and their creations on parade. This year, the parade route was even expanded to accommodate the crowds. Another top level event for cosplayers is the famous Masquerade, Dragon Con’s costume contest. It’s such a popular event the overflow ballroom fills to capacity. 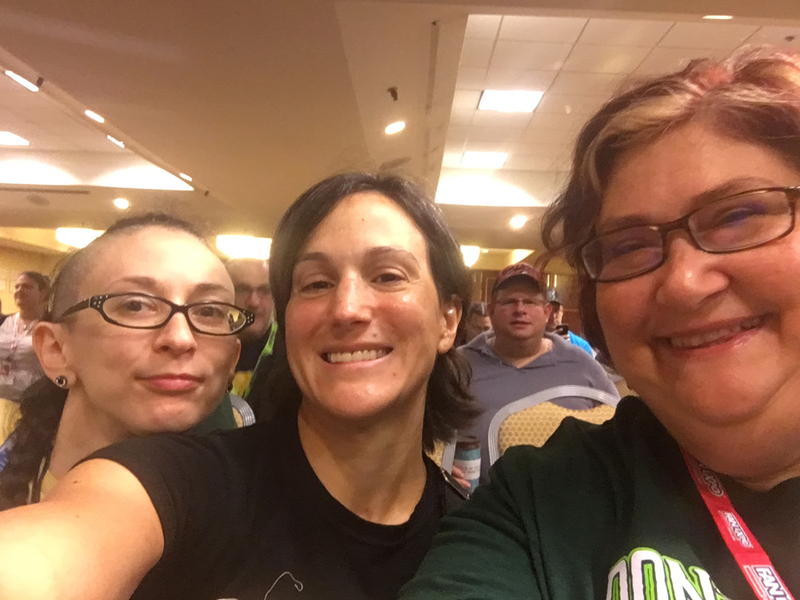 These are the con stories that make you go “I wish that would happen to me.” Often, it’s a special encounter or connection with a guest, but there are also the moments where you meet another attendee and realize a real connection has been made. A few friends I see only at Dragon Con. I even met some of them in lines there. When I see them again, it’s as if no time has passed since I last saw that person. 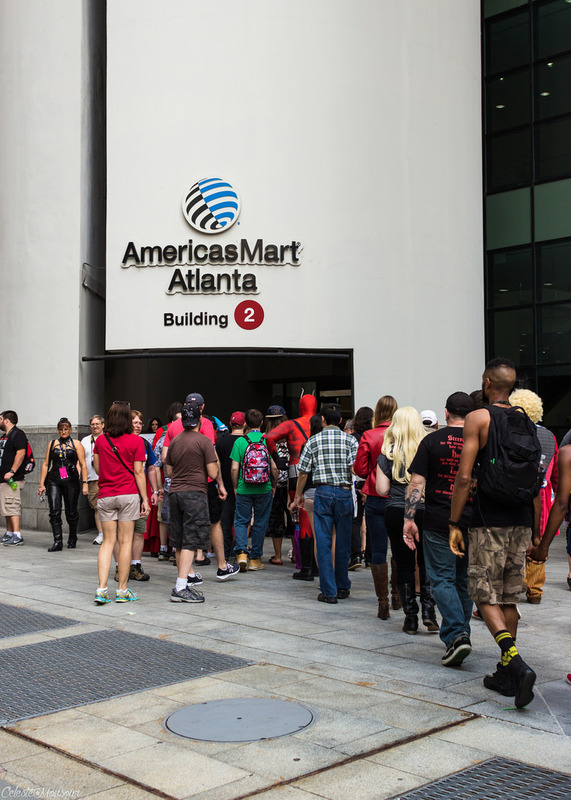 For Dragon Con veterans, special traditions develop. You eat at the same place together every Thursday or Monday. 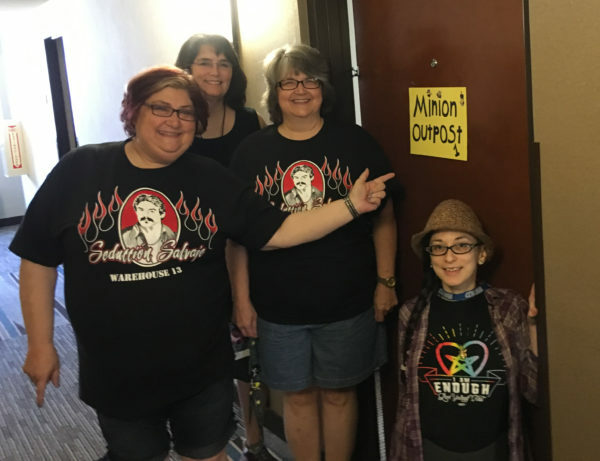 You have a special meet-up based around a shared fandom. 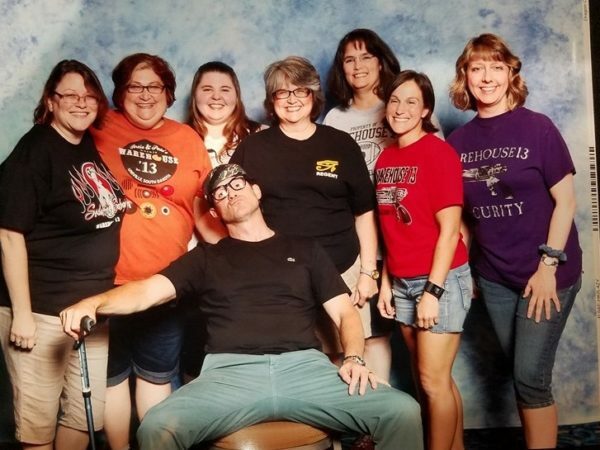 One of our traditions is doing something silly and crazy based around Warehouse 13 for a photo op with Eddie McClintock. It’s fun because our group has been coming to every Dragon for as long as Eddie has been coming. It’s like our Dragon anniversary picture. This year, we wanted to do something meaningful. We realized that our number equaled the number of shirts Eddie has designed and sold at the con. Between us, we had the entire collection. He was blown away and humbled that we had done that tribute to him. 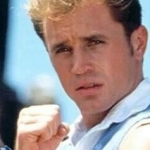 Being Eddie, it also included funny shenanigans. On the subject of Eddie McClintock, his trademark greeting for fans has become a free hug when you come through his line. 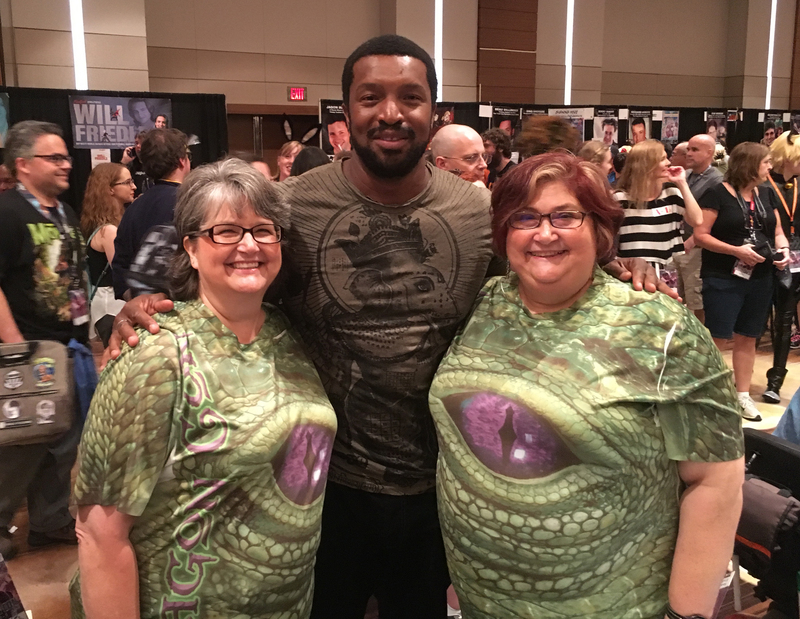 For many, a hug from Eddie is a Dragon Con tradition. Some special personal moments for me this year: When I walked in for our photo op with the Grimm cast, Reggie Lee greeted me and hugged me. Then David Giuntoli said, “Well, I have to have a hug, too.” It ended with the entire cast insisting on hugs before the photo. A favorite guest still remembers me by name, although I’m nervous he won’t each time because it’s between 2-3 years each time I see him. Yes, it’s thrilling every time. Plus there was a confirmation that an acquaintance with a fabulous lady has become a friendship. I think a lot of us thought it couldn’t be done, but human traffic flow through several areas in the host hotels has drastically improved. Kudos to the Dragon Con staff for that feat. On Saturday, I could actually walk through the Marriott Atrium without the congestion totally jamming. The sky bridges were passable. Yes, sometimes it moved slow, but I was never caught in a stoppage in them this year. Because of my situation (I had an injured leg this year, and was already experiencing some difficulty moving between venues), I had to use them more than I usually do during the weekend. Escalators were easier to navigate into the line. This is a problem that is constant and on-going, so I wanted to note that I have seen much improvement from the past couple of years. The one reason I truly return to Dragon Con every year is to spend the weekend with my friends. We are scattered all over the country; a few are even out of the country. That’s the one weekend we earmark that we will get together in person. The guests and the events are just icing on the cake for us. Not only can we spend quality time face to face, but also spend it doing geeky or silly things together where no one has to worry about work or families or life. It’s essential to our individual lives to spend that time together. 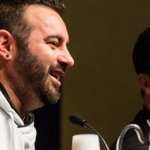 The sheer variety of panels and events at Dragon Con means no one can do everything they want. I understand this has to be the case. But, why oh why, do the programmers always put the things I want to see most against each other? Seems like every year my top panels are at the same time or one will be at the Sheraton or Westin with the next scheduled 30 minutes later at the Hyatt lower level. I understand why panels and events are scheduled in this way, but again, why do all of my favorites have to be in the same programming block? Dear Dragon Con, I want to do it all! I need to do it all! The top of the escalator – Can you say topple like dominos? ‘Cause that’s what happens and that’s a horror scene no one wants to star in. I will admit I didn’t experience this one in person. After a few friends told me their experiences, I wasn’t willing to risk a real possibility of more bodily harm to myself. One set of friends stood in line for two hours just to get into the building. When they finally did get to the Vendor Hall, it was so congested it was almost impassable. I heard similar accounts repeatedly the entire weekend. 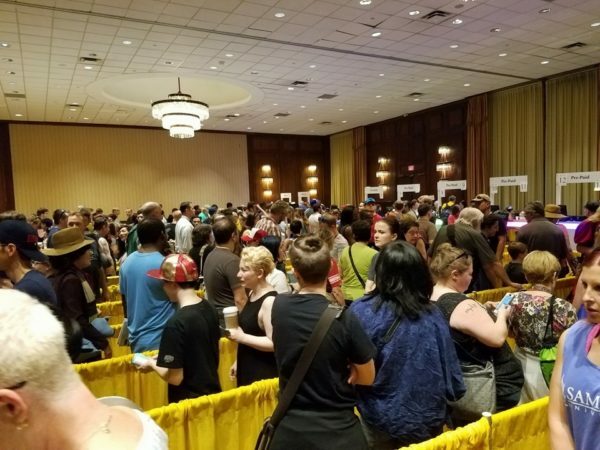 I met people who recounted going for panels or other events and being told by security they had to stand in the massive line just to enter the building for any event. A meme was created and posted online about the crowding at the venue. I know the Dragon Con staff is working on this issue for next year. 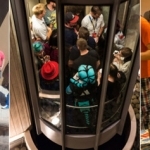 Most years, we love attending the nightly events of Dragon Con — the crazy dance parties like Zombie Prom and the Yule Ball, plus the concerts and movie showings. This year, though, our group had to miss these events. Yes, this is a personal one, and not much Dragon Con can do about. Everyone was experiencing physical issues from chronic pains flaring to injuries to coming down with illness. At the end of each day, we were simply exhausted and out of energy. No fun being sick or injured at one of our favorite events of the year. I love to dance, and Dragon Con parties are one of the few times of the year I can indulge. A hip injury meant I couldn’t dance this year. One night, when the Labyrinth singalong was scheduled, I tried my best to talk even one of my friends into going along. What actually happened? I fell asleep lying across a friend’s hotel bed before the event started. In conclusion, for me, good experiences at Dragon Con do far outweigh the not so good. I’m sure in a crowd that large, there have been attendees that have had downright bad experiences. This year marked a total of either 6 or 7 Dragon Cons for my friends and I. Yes, we are pre-reserved for hotels for next year, and several have even purchased their badges. We hope Dragon Con remains essentially the same for many years to come. Ava DiGioia is fueled by coffee and chocolate and doesn't believe one can have too much of either. She is a Georgia girl who lives in North Texas and watches too much geeky television. When not writing, she is employed as a cat herder and a teenager herder.